5 Praise Points from the First Half of 2017! 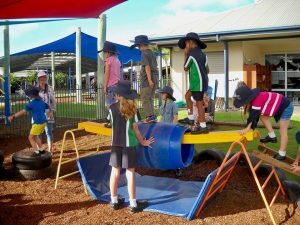 As Semester One draws to a close, we look back on the generosity and progress made for the benefit of our sponsor children, over the last few months. All thanks to you, all glory to God. A recent fundraising drive by the Junior School through a handball-a-thon and obstacle-course has raised $2,214.65 for our Slum Scholarships program! 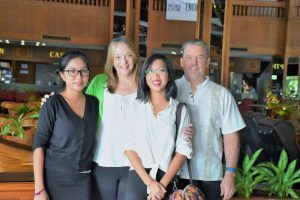 With this money and other donations received from collection tins we were able to send $6,500 to Thailand to further the education of 10 pre-school children and university student, Pet. Riverside Christian College, you’re amazing! 2. C3 Church Darwin donates $600! 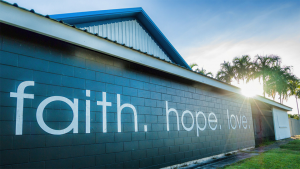 We also celebrate the recent contribution of $600 from Darwin’s C3 Church towards Pet’s university fees! May God bless you abundantly. During the holidays Pet will do some volunteer work at Hand to Hand (the pre-school where we sponsor 10 children). We would like to sponsor 10 more children this academic year and need another $3,500 to help make this happen! Please pray for us as we look for sponsors. 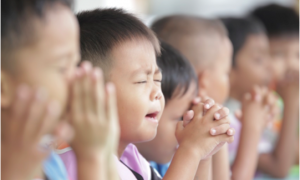 Has God put Thailand on your heart? 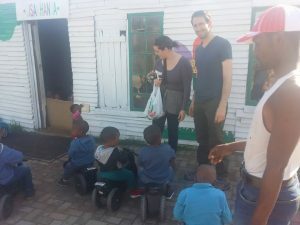 Board member Ashley, with her husband Ben, recently visited a township (slum) kindergarten in Port Elizabeth, South Africa. They have a holey (leaky) roof and we would love to help them fix this. We need $2,000 for this purpose. Can you help?